Compiling cross platform code can sometimes be tricky since the code often has to be modified slightly to satisfy different compilers. 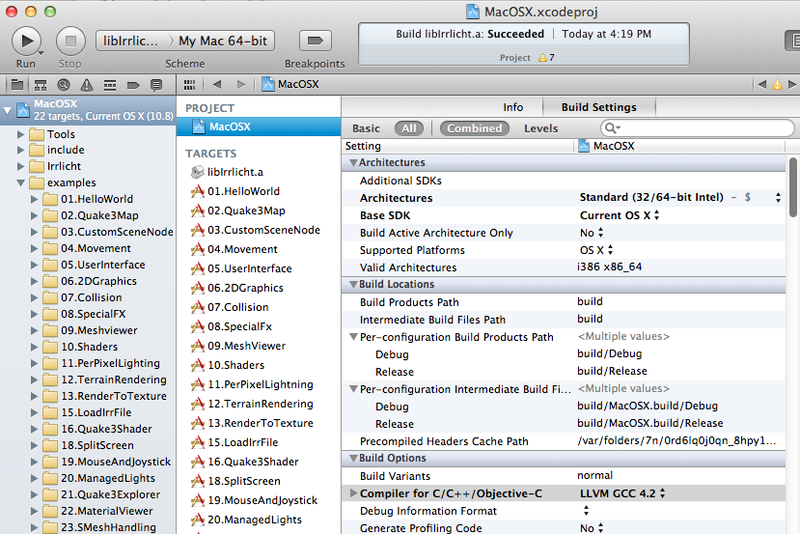 I’ll here describe the steps to compile the Irrlicht game engine for OS/X 10.8 Mountain Lion. Prerequisites: XCode 4.4 (or 4.5) installed. Install command line tools (Open XCode and goto preferences, choose the tab ‘Downloads’ and install next to the install line tools). ok sorry! Hadn’t downloaded the command line interface for xcode! Hi Shaun. Good to hear that you have have solved the problem. And thanks for the feedback – I have updated the blog-post, so other people can avoid problems. I put libIrrlicht.a on /usr/local/lib. I tried to put it on project directory or in parent folder, but I had same problem.